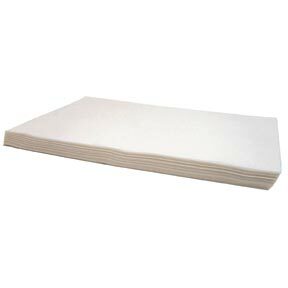 This envelope-style, white filter paper is designed for use with many Pitco fryers with built-in filtering systems. While using your Pitco fryer's filtration system, this filter paper traps food particles, which helps prevent flavor transfer. This item is comparable to Pitco part number PP10613. There are 100 sheets per pack.